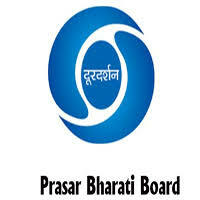 Prasar Bharati Jobs Recruitment Notification 2018.Prasar Bharati inviting applications for the positions of Private Secretary.Interested and Eligible candidates can apply for the positions. The Total Number for the post for Prasar Bharati is 12 for Private Secretary Posts. Maximum 56 years of age can apply for the Private Secretary posts. The remuneration will be Rs.9300 to Rs.34800/- per month for the post. http://prasarbharati.gov.in/ is the link to Download form online directly.